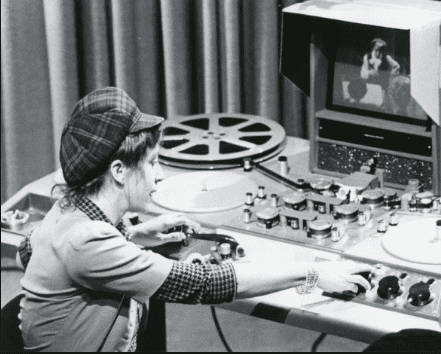 Jill Godmilow editing her 1975 documentary, ANTONIA: A PORTRAIT OF THE WOMAN, one of the many thousands of films in the AFI Catalog of Feature Films. Gender-lens projects coming out of Washington, D.C. these days are rare, but here’s a great one. The National Endowment for the Humanities has just awarded the American Film Institute a $350,000 grant toward a study on gender parity in the history of American film. The funds support a survey of the roles of women in the over 100 years of American movies that are in the database in the AFI Catalog of Feature Films. The collection has amassed over 500,000 listed credits on all these productions. The database is complete for the years 1893-1993 and is abbreviated for films released after 1993. It covers all Hollywood films and independent works that made theatrical release. My own single entry is here. In the earliest era of filmmaking women held many more roles and wielded much more power in the creation of films and their story lines. Anita Loos’ autobiography, A GIRL LIKE I, talks about her being the very first scriptwriter ever hired. These were the days when the industry was nascent and it was still growing into the powerful force it is today. This initiative will bring out those numbers identifying the roles women did have, and compare them to ensuing decades. I am going to make an educated guess – the worst decades for all women’s work in film were the 1950s, 1960s and 1970s. Hopefully the “Women They Talk About” study will have the necessary impact like the analysis that Linda Nochlin presented in her 1970 essay “Why Have There been No Great Women Artists” about the visual arts, where she revealed that women exhibited at the Salons in the 1880s in far greater numbers than they were showing in museums in the 1970s, and, in some cases, even today. Sadly, progress for women in very slow, too slow. A 2018 survey of 18 major museums unveiled that only 13% of their permanent collections are of women’s works. Only 15% of the collections are created by people of color. Do these institutions get federal dollars? Maybe they are not in compliance with Title IX? The American Film Insitute has a long history of supporting women filmmakers. In 1974 they initiated The Directing Workshop for Women. I watched it evolve, because two years earlier at Women Make Movies, in 1972 we had started a film teaching workshop for women in the Chelsea neighborhood of Manhattan. The AFI program for many years underscored that women directors were less than 10% of the active filmmakers in Hollywood. The unfortunate reality is that is still true now 45 years later. Despite some 300 women that have gone through the program whose personal careers have benefited, it has made no dent in the culture of studio decisions of who directs. As one who has worked to broaden this picture now fifty years, I see affecting public policy as the key and critical step to make lasting change. The AFI began in 1965 as a Presidential mandate under Lyndon Johnson to establish film as essential to American identity. Today its mission is to preserve the heritage of the motion picture, to honor the artists and their work and to educate the next generation of storytellers. 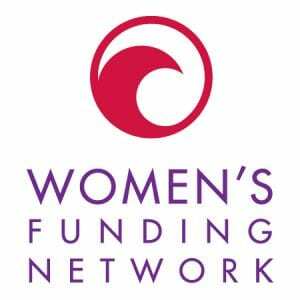 The “Women They Talk About” project is still seeking funds to augment the NEH grant. We will have to wait until 2022 when the “Women They Talk About” study is expected to be completed to see if I am remotely correct about my predictions on the worst decades for women in cinema.